With our temperature controlled warehouse we have the capability to store oversize and standard pallets with shelving for small items and single boxes as well as secure storage for valuable and sensitive items. Our shipping and receiving department oversees the intake of stock including material inspection and preparation of inventory for storage. 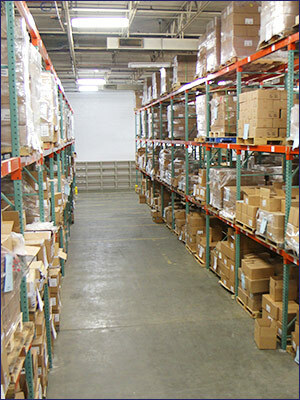 All stock is organized to optimize inventory tracking and order fulfillment.